I haven’t really set myself any proper goals this year. Normally I’d make a bit of a resolution to learn something, do something better or just be a better person. 2018 was all about challenging myself; 2017 was about finding a better level of balance in my life; in 2014, I made some more specific goals. This year though, I’ve got just one big goal: give birth and keep a new, tiny human alive. I’d say that’s a pretty important one! I’ve found lately that making shorter term goals has worked better for me in terms of improving my life: using to do lists properly, making an effort to do something now rather than putting it off, learning how to organise and keep the house tidy…this has been more by necessity, but somehow, I’m enjoying it! Right at this very moment in time, I feel like I’ve kind of got my life properly together…but I know that’s all set to change quite dramatically very soon. Doing the best I can now to have everything in my life – work, house, friends etc. – all in order is probably the best start I can have for the changes we’ve got coming, but I’m also very, very aware of how little I can really prepare for everything. So instead of big goals this year, as I said, it’s all about giving birth and keeping a baby happy and healthy. But I have made one little goal, one I make every year: my Goodreads Challenge. Last year was pretty awesome in terms of books I read – mostly because during those summer months of the first trimester, I wanted to do little else! My goal in 2017 was to read 50 books and I reached 70 by the time we were seeing the new year in. This year, my goal is to read 55. It’s a little higher than my goal from last year because I like to aim high if I can, and also because I’m hoping (fingers crossed!) that maternity leave and breastfeeding might result in some time to read – I’m, again, very aware that I might be a little disillusioned about what this time will be like though! Last year, I started organising my to-read shelves better on Goodreads which I think also really helped with getting through books better. A lot of my books come through Netgalley, which is a service that allows advance access to proof copies of books you’ve been approved for in return for a review. This is absolutely amazing as it allows me to discover amazing new books before they hit the shelves and also saves me a lot of money on books, so I don’t want to take advantage of the huge benefits they’re offering me – hence why I always try to give a proper review for books I get through Netgalley. I was, however, getting a little behind on some of the reviews. So one free afternoon, I took to Netgalley and Goodreads and got myself sorted. I’ve organised all the books I’ve got to-read still from Netgalley into shelves based on when they’ll be published – it allows me to see what’s coming up so I know whether or not I should request a new book for that month. In addition, I also have a “catching up” shelf with ones that have fallen through the cracks. And this has worked very well so far – I’m nicely caught up to date, aside from some that, like I said, fell to the wayside, in terms of what hasn’t yet been published. But it’s also allowed me to look over what I’ve got waiting for me in the coming months, so I wanted to share 10 books I’ve got coming up on my reading list that I’m excited to read in 2019. I’ll give a quick summary of the blurb as it’s listed on Goodreads/Netgalley and why it sounds good to me, as I don’t yet know if I’ll agree or not! 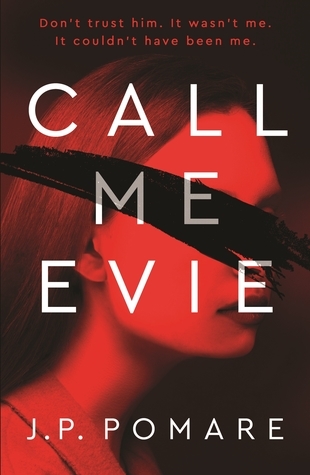 Ele has been held captive in a small room by a man known only as “Him”, but she’s convinced that there is, in fact, a world Outside, and she’s going to prove it, even if she’s never seen. When a hole appears in the wall at a time when everything seems like it’s ending, she sees her chance. I’ve actually already read this one now, so full review coming soon, but this really appealed to me as it sounded similar to Room by Emma Donoghue which I reviewed and really enjoyed last year. It also has very good early ratings and reviews. The Swan on the upper banks of the river Thames is an ancient “storytelling” pub. On one midwinter’s night, a badly injured and drenched man bursts in holding the body of a little girl. It’s only a few hours later that the girl takes a breath and is, once again, alive. This is a twisting tale of folklore and storytelling that crosses the genres of fantasy, reality and history. I’m not sure whether I’m a bit late or a bit early to read this as it has different publish dates on Amazon, Goodreads and Netgalley. It’s now available on Amazon, but I’m actually reading it now. 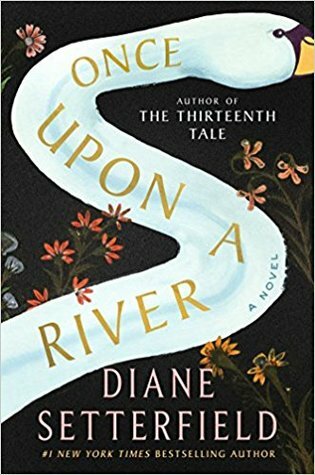 I was drawn to this one not only by that gorgeous cover, but by the author – Diane Setterfield is the author of The Thirteenth Tale, a book I read in 2017 and wish I’d written. When an author’s writing captures me like hers did, I want to read everything they do, so I was very excited to see a new book from her. This story takes the reader through a life lived twice, in two different ways, from two different perspectives. 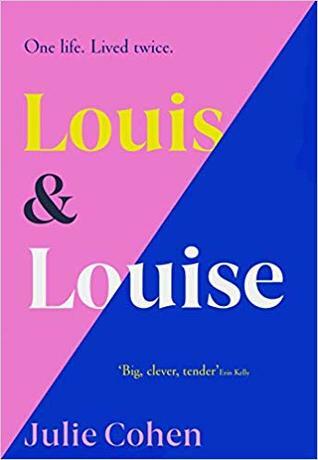 Louis and Louise are the same person but separated at a single moment – their birth and whether they’re born male or female. While their lives are similar in many of the same ways, from friends, parents and living situations, their gender shapes their experiences and changes their lives in ways that the other might never experience. This sounds like an honestly fascinating topic to explore in a novel. Books that centre around an “issue”, such as feminism, can often lose their narrative or storytelling ability; this one, though, sounds very promising to me and I’m excited to see if it lives up to my expectations. A group of college friends take a trip to a secluded hunting lodge in the Scottish Highlands over Christmas where they find themselves snowed in. It begins innocently enough, but as they’re trapped by a blizzard unlike no other before, one of them is murdered. 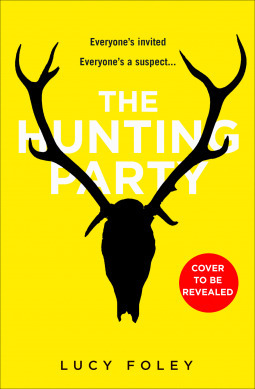 This has been described as one of the most hotly anticipated crime thrillers of year, so I can’t miss that, can I?! 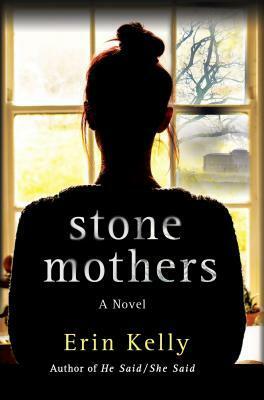 The blurb mentions a tradition of Agatha Christie and psychological suspense. It sounds a little like the fun “whodunnit” An Unwanted Guest I read last year with an secluded lodge (isolated environments are always a fave setting for a book for me!) and a murder. In an otherwise assuming college town in California, a girl returns home to find her roommate won’t wake up, even the paramedics and doctors can’t rouse her. As a second girl falls prey to the same situation, then another and another, a quarantine is established. But what’s strange is that the infected display heightened levels of brain activity suggesting crazy dreams, but what are they and why? The promise of an unexplained virus or epidemic in a novel always has me intrigued – it’s another of my (strange!) favourite topics. 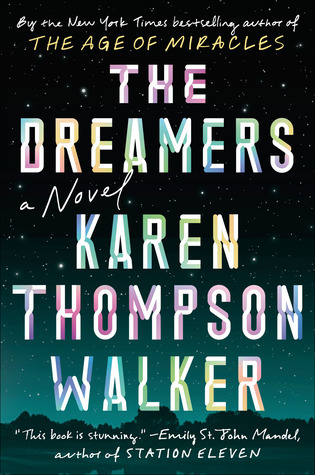 This book sounds like an excellent combination of potential real life and a very visual side of the dreams these characters experience – I can’t be definite that this is so just so yet, but early reviews suggest so. In addition to this, a recommendation from Emily St. John Mandel, author of Station Eleven, on the front cover is an excellent excuse to pick this one up! 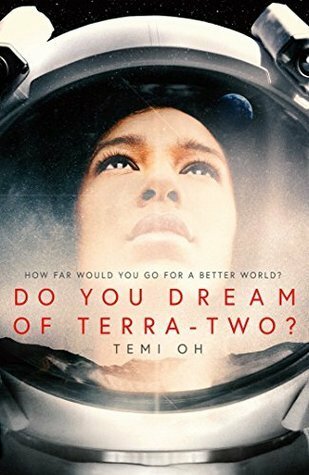 A century ago, children are chosen by scientists who believe that a habitable planet lies in a nearby solar system; today, those astronauts leave the dying Earth behind to find it and colonise a new society on a new earth, beginning with a journey that will take 23 years, no way to turn back and no rescue possible. Again, the isolated setting grabbed me for this one – space books are always good for this! Throw in a dystopian near future and character development in a confined space, and I’m sold. I’ve heard very good reviews of this one, and I think the title is very catchy, so I’m excited to read it. Marianne left her home thirty years ago, when she was just 17, after burying a body with her boyfriend, Jesse. Now, with her mother ill, she has to return to a place she never wanted to go back to, and to a person who’s threatening to expose their secret and throw the life she’s built with a family into turmoil. I read He Said, She Said by this author in 2017; I really enjoyed her writing and how well she dealt with a very difficult plot point, so when I saw a new book by her, I was sold straight away. This one sounds as though it will stand in its own right too though, packed with secrets, lies and a promise of psychological drama and suspense. 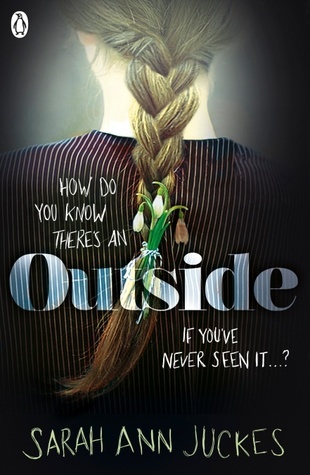 Held against her will in an isolated cabin in a remote town, 17 year old Kate is struggling to remember the night that everything changed and what she had to do with it. As fragments of memory return to her, her captor, seemingly benevolent apparently, helps her piece these together to build a story, but it’s not adding up. This is the first novel from a brand new author, but has been described as “one of the most striking debuts” by A. J. Finn – if that doesn’t sell it, I don’t know what does! It’s also been described as perfect for fans of Sharp Objects and Room, so again, I’m sold. The plot (isolated cabin!) sounds fantastic, so I’m excited to hopefully uncover a promising new author. In London of 1850, the Great Exhibition is being set up in Hyde Park, and among the crowd, two people meet. Iris is an aspiring artist; Silas is a collector, seeking out the beautiful but strange. This novel is described as “an intoxicating story of art, obsession and possession”. I know, never judge a book by its cover and all that – but seriously, this one is beautiful! 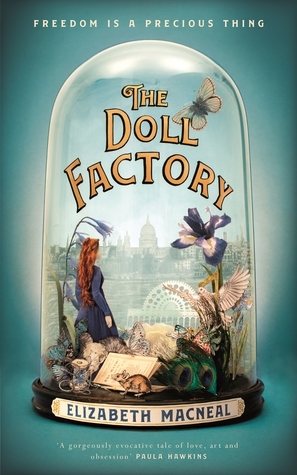 Victorian inspired, a hint of what lies within…if I’d seen this on a shelf, I would have grabbed it straight away. In addition to this, the “Freedom is a precious thing” tagline sounds intriguing, as does the historical yet whimsical setting amongst the 1850 London Great Exhibition. The Farm is a seemingly utopian retreat in the Hudson Valley, with personal trainers, healthy organic food, massages and more, all provided for free. All you need to do is stay for 9 months to produce a child for a wealth client. 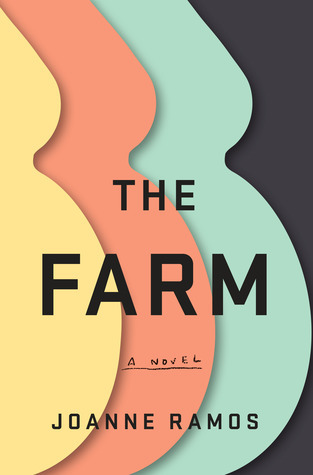 Phillippo mother, Jane, is a nervous young mother desperate to reconnect with the world, and the young daughter, she’s left outside, but she cannot leave the Farm as she’ll forfeit the fee that could change their lives, or even worse. Again, this is another cover that I really love – the contrasting block colours and stark imagery are a bold and captivating choice. On top of that, the plot sounds scary and intriguing. Previous Post Pregnancy Diary: Week 30 – Pregnant at Christmas!